What is Toyota Safety Sense? 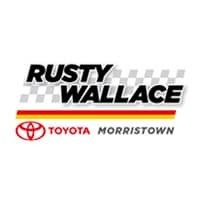 | Contact Rusty Wallace Toyota! What is Toyota Safety Sense? This bundle of active safety features is just one reason why Toyota safety ratings are so outstanding. It’s standard on many new Toyota vehicles, like the Sienna, so you don’t have to pay extra to protect your family. Pre-Collision System – A combination camera and laser or radar system senses if you’re in danger of hitting a vehicle in front of you and can apply the brakes. Lane Departure Alert – This sophisticated system is designed to let you know when you’ve accidentally drifted out of your lane so you can make the correction. Automatic High Beams – See more clearly at night without worrying about blinding other drivers with high beams that automatically toggle back and forth. Dynamic Radar Cruise Control – Mid-sized and large Toyota vehicles include cruise control that can slow down automatically based on the speed of the vehicles in front of you. Pre-Collision System with Pedestrian Detection – Mid-sized and large Toyotas also have a system that can detect pedestrians in front of you and apply the brakes. Visit Rusty Wallace Toyota in Morristown, near Knoxville and Sevierville, for more information about safety and other technologies. 0 comment(s) so far on What is Toyota Safety Sense?